Every Sunday, Making A Mark features one of the insanely talented artistic folk currently living up large, and gives them a little brag spot right here on IADW. 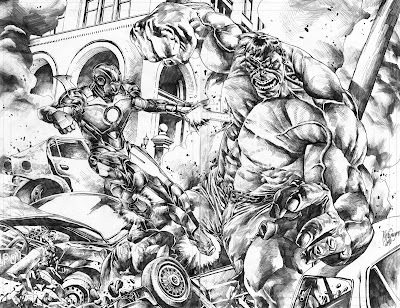 This week it's one of Marvel's fastest rising stars; Philippine artist - Mico Suayan! 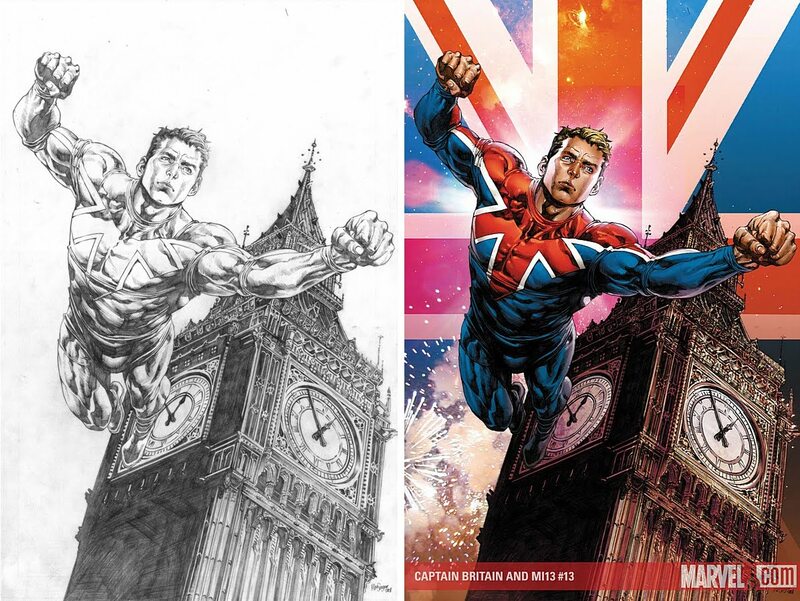 Full name Michael Cornelius Suayan, I first came across Mico's amazingly detailed pencils on his cover to Captain Britain and MI:13 #13, and knew this was a guy to watch. A mix of David Finch, Lee Bermejo and the detail of Jay Anacleto, Mico has really been stepping up to the plate on the recent covers to Thor, heading into the interiors of Odinson mini; Rage of Thor. 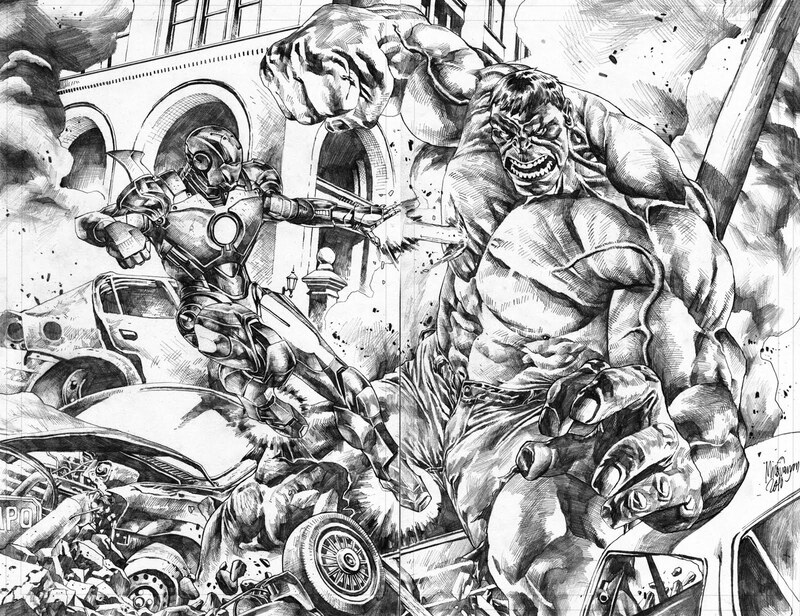 If your jaw is ready to do a little bit o' dropping, click on through for some Iron Man vs Hulk goodness, and a little Green Gobby the way he always should be done. 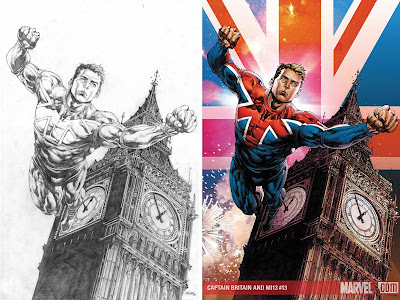 Mico's pencil's to Captain Britain and MI:13 #13! 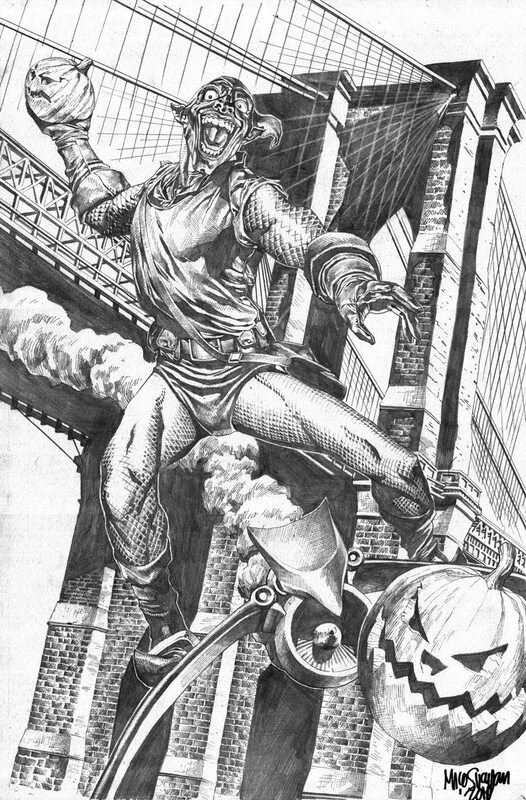 Look at that detail on Big Ben - classic! 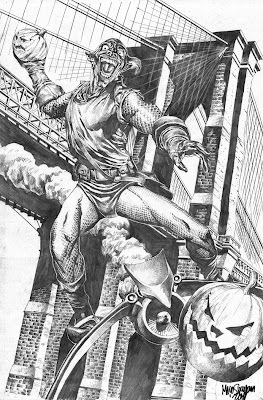 For dream titles, I just have a need to see Mico tackle the Wildstorm Universe - his style seems like a brilliant fit for the likes of Deathblow, The WildC.A.T's or Midnighter! 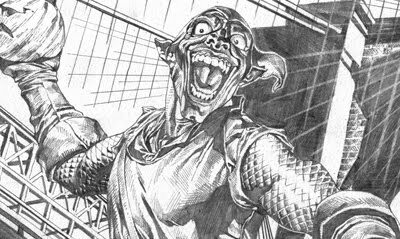 For more great Making a Mark artists click here, or for an extra dose of Mico Mayhem, visit his gallery here, and book Rage of Thor at your LCS now! This guy has got some mad skills! He sure does! Glad you liked it David! Wow - No worries Mico! Thanks for stopping in on IADW! !